The luxury sport sedan segment is crowded and jam packed with worthy contenders. In this space, however, we invite you to think outside the box and consider the 2019 INFINITI Q50. Not familiar with the Q50? You’re not alone. For some reason, this incredible vehicle seems to fly under the radar when it comes to luxury sport sedans. We’re out to change that. That last trim is a sure-fire winner if you are looking for the ultimate in performance from your Q50. The Red Sport 400 comes with a 400 horsepower generating 3.0L V6 twin-turbo engine that delivers driving excitement as you navigate the roads in and around Roanoke and Lynchburg, VA. Does that mean you get shorted on features, amenities, or performance with the other trims in the lineup? Absolutely not. Just think of the Red Sport 400 as the “sportiest” version of the sport sedan. Never one to rest on their laurels, INFINITI has also enhanced the standard features with the Q50 for the 2019 model year. Now, no matter which trim level you choose, you’ll get forward collision warning and automated emergency braking as standard features. The Luxe trim also receives new standard equipment in the form of maple wood interior trim, 18-inch wheels, and sunroof. The Sport trim counters with additions like adaptive dampers, 360-degree camera, Bose stereo system, heated front seats and navigation. No matter which trim you think may be the right one for you, we strongly urge you to contact us online and take a test drive at Berglund INFINITI of Roanoke. Nothing can replace actually driving the vehicle and getting a feel for it, and our product specialists will be happy to answer any and all questions you have. We’re conveniently located at 5000 Franklin Rd. Roanoke, VA 24014. While the 2019 Q50 is technically classified as a sport sedan, INFINITI makes sure to pack plenty of luxury features and amenities into the vehicle. All the usual suspects are either standard or available including leather seating, Bose premium sound system, and much more. The 2019 INFINITI Q50 also goes heavy on the technology with a wide variety of both fun and functional options. Available driver assistance features include Active Lane Control, Lane Departure Prevention, Forward Emergency Braking, Predictive Forward Collision Warning, Direct Adaptive Steering, and Backup Collision Intervention. The hybrid engine option previously available on the Q50 has been discontinued for the 2019 model year. 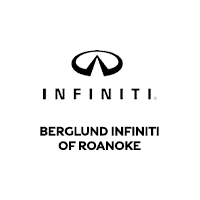 In addition to our outstanding selection and values on new and used vehicles, Berglund INFINITI is also the perfect place to bring your vehicle for both major and minor service. We perform maintenance on all make and model vehicles and can also help save you money on oil changes, tire rotations, and more via our service coupons. Just schedule your next service appointment online and trust you are getting top-quality care for your vehicle at some of the best values in the region. *Bluetooth® word mark and logos are registered trademarks owned by Bluetooth SIG, Inc. and any use of such marks by INFINITI is under license. A compatible Bluetooth®-enabled phone must first be paired. Phone performance depends on software, coverage and carrier.